We could all need some good news! In the newspapers we read about pollution, the melting of the polar ice, war and terror. 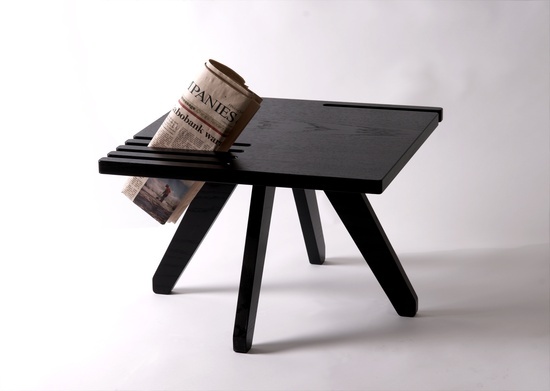 We therefore designed a small coffee table that in an easy way stores newspapers, so the user can be updated on the latest news, hopefully some Good news.